For families affected by a mental health condition, what elements of health insurance are necessary? At its most fundamental, the Affordable Care Act (“ACA,” aka “Obamacare”) aimed to ensure that every American has affordable health insurance in order to access needed health care services. As many as 50 million Americans did not have health insurance prior to the ACA; now the rate of uninsured is at its lowest, although approximately 27 million remain uninsured. In this week’s post, we examine a few of the ACA’s components that are at risk and why they matter to people concerned with access to mental health care. Prior to the ACA, insurers had a great deal of discretion with regard to the scope of benefits available under their insurance plans. As many of us know, mental health care and treatment for substance use disorders were not commonly covered and, when they were, the benefits were minimal and they often had an annual and/or lifetime cap. Mental health parity was intended to correct some of the imbalances in health care, requiring that when insurers offered mental health coverage, the benefits and costs to the insured needed to be equivalent to similar treatments on the medical/surgical side. The thing that parity didn’t do, however, was require that insurers include coverage for mental health care. One of the ACA’s most dramatic elements was the inclusion of “Essential Health Benefits,” ten areas of care that were required to be included in health plans to be ACA-compliant. These included services that many of us would take for granted as covered, such as maternity and newborn care, outpatient medical services, preventive medical services, and pediatric care. Importantly for our purposes, the EHBs also included emergency care, prescription drugs, rehabilitative services, and mental health and substance use disorder services. With the ACA, parity got teeth: now that mental health services were required, parity leveled the benefits and costs to correlate with medical and surgical services. There is no additional cost or penalty for the nature of the conditions being treated. With the ACA, another dramatic change to the nature of health insurance and cost distribution came in the requirement that insurers issue policies without regard to a person’s health status. Thus, regardless of whether an individual had a diagnosed condition – such as diabetes, cancer, depression, or otherwise – insurance companies could not deny coverage. Additionally, because premiums and out-of-pocket costs were a set amount, they could not charge higher fees, either. Medical bills are the most common cause for personal bankruptcy in the US. Preventing the imposition of exorbitant premiums and out-of-pocket payments based on medical history is one way to support families’ financial stability despite dealing with a physical or mental health condition. Another significant change brought by the ACA is that, if parents want to add their adult children to their insurance, the policy must provide coverage up to age 26. Previously, if an insurance policy covered adult children, it was available only for full-time students and would typically end at age 22. The ACA eliminated the school enrollment requirement and the adult child does not have to be a dependent on the parents’ tax return. This helps young people who are not yet financially independent and who are either not employed or not able to get health insurance through their employer (e.g., because they work part-time) to receive health care services. Medicaid is the federal-state program that provides public health insurance for more than 60 million low-income people and people with disabilities, including people living with disabling mental health conditions. Prior to the ACA, many states provided coverage through Medicaid to select groups of people (children, pregnant women, parents of dependent children, individuals with disabilities, and people age 65 and older) and excluded, for example, adults who had no children, while also keeping income limits very, very low to reserve access to care to only the poorest of the poor. (Other people may have had access to care through hospital emergency departments, though that approach is more costly and less effective for non-emergency conditions.) Medicaid expansion was envisioned as a way to significantly reduce the number of uninsured people in the US. With Medicaid expansion (in those states that have adopted it), all families and individuals earning less than 138% of the federal poverty level are eligible. The problem, in our view, was not Medicaid expansion, but the failure of nearly twenty states to expand Medicaid. Their refusal to adopt the expansion had a detrimental impact on poor people by not creating more paths to health care and leaving all but the very poorest (e.g., annual income less than $8,900 for a family of 3) without health insurance. We believe that all of these provisions are important to preserve. Insurance is meant to pool the risk among a large number of participants with the expectation that no one person or family will utilize the entire range of covered services in any given year and that services will be covered when needed. By spreading the risk, insurance allows us to better anticipate our medical costs and decreases the likelihood that families will face bankruptcy in order to pay for needed health care. Allowing tailored plans to cater to particular health conditions and create low-risk groups means that greater costs are distributed among fewer people, increasing the likelihood of financial losses for insurers and unaffordable premiums and out-of-pocket expenses for families. We hope that our legislators can look beyond the name they assigned to the ACA in derision (i.e., “Obamacare”) and retain the portions that support families affected by mental health issues. 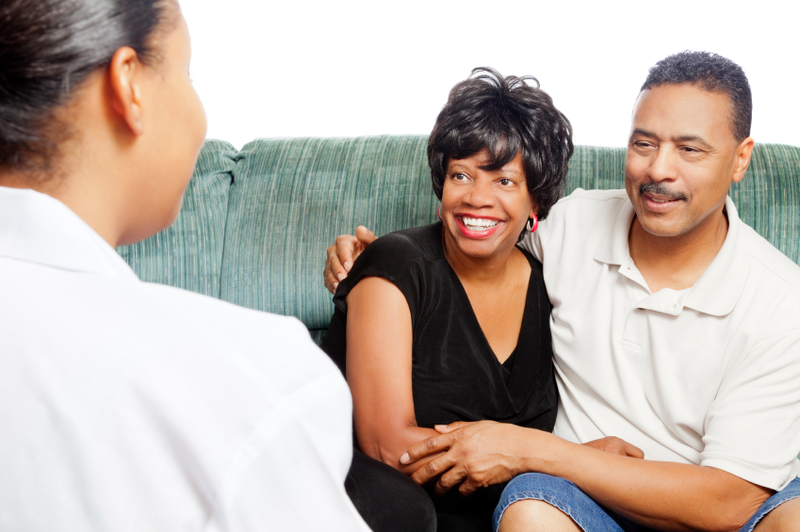 Do you have a story you’d like to share about how the Affordable Care Act has impacted your family? Let us know! What are the most important provisions of the Affordable Care Act for you? Why?